Farhana Nisho is a hot model in Bangladesh. Now she is living in Dhaka. In past, she was the news presenter of Channel One. After closing this channel, she was joined as the News Presenter in Boishakhi TV. 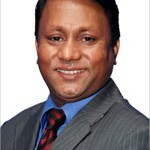 Farhana Nisho is the most excellent and locative news presenter in Bangladesh. Her good-looking beauty and serious voice pose is the crowd of young generation. Young generation tune the channel to see her performed news. Now she is presenting various programs in many channels. She is the program presentar of Boishaki Night Song. 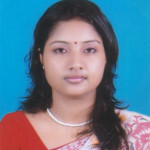 Her aim is to be a good presenter of Bangladesh. She reads various magazine and news paper in her free time. In that time, she wants to give time to her family member. She is also a fashion designer. She always gives tips and tecniques to her fans about different beauty tips and tecniques. I,m a fan of u. Really you are so cute.. Your looking is very attractive. I like ur news presentation.